I have a great number of clients who are completely oblivious to their fabulous qualities. Qualities like generous, like calm, like decisive, qualities like actually being willing to try new things (including new modalities). They all say things like “I shouldn’t have done that” or “I should have chosen to do this” or “that was a bad decision”. The truth is that we are all human. We all makes choices for ourselves with the information we have on hand at any given point in time. We cannot presume to know what each choice will give us or take from us. What we do have a choice over, is how we see ourselves and how we talk to ourselves about these decisions. Instead of saying “I shouldn’t have chosen to do that, that was a stupid choice”, think about it more carefully. Did you do the right thing at the time with the information you had? and if not, look at why you chose it – maybe you were at a point where you were willing to try anything to get healthy again (that’s an honourable place to be – some people just give up, you chose to keep trying). All we need to do sometimes is take step back and look at the situation from another perspective. It’s okay to make decisions that lead you down the garden path, you’re human (as we all are) but how you choose to see the path, how you choose to talk to yourself about that choice will make all the difference to what you find at the end of your path. 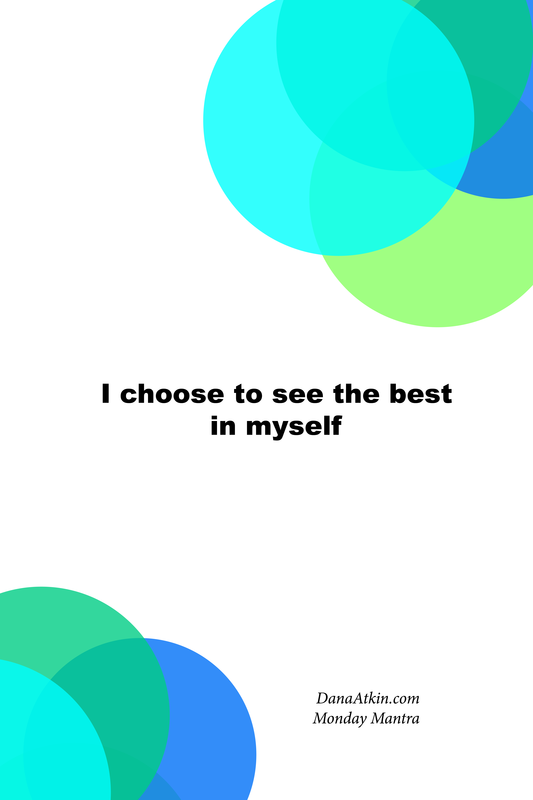 Today, lets begin by choosing to see the best in ourselves. The best in our decisions, the best in our body, the best in our intellect and the best in our qualities. This will have a flow on effect in your life, your body and those around you.